Today I sat through the Keynote session at the Microsoft Data Insights Summit. As expected, James Phillips confirmed that MS has been holding back a few killer features to announce at the Summit. Here is the list of new things that are coming that I wanted to share with you – I am truly excited. All of these features should be released sometime between now and the next 3 months. There was an announcement of 2 new Power BI capacity based tiers (EM1, EM2) design specifically for Power BI Embedded. The price starts at $625 per month. These new tiers are designed for Power BI embedded, but can I understand they can also be used for general premium distribution. I saw a demo of this being deployed inside SharePoint and also Microsoft Teams. This was very cool and maybe (just maybe) it will address the SME pricing gap I have been complaining about a lot lately – let’s wait and see. I want to call this one out – this is massive for companies that want to improve their processes in the business (I personally have worked on process improvement for many years and I know the benefits of measurement and management). You can now paste a Visio Diagram into a Power BI Report, and the data is mapped to the process diagram (using process IDs in your data set and Visio). It means that you can load your process map, add a colour saturation to highlight blockages in the individual process steps based on the data, and then drill down to see the detail. There are many people that won’t be excited by this, but believe me, this has the potential to be huge. We saw a demo of Power Apps embedded directly into Power BI. The App accepted input from the user and then the changes were written back to the database. I am not sure exactly how that works, but I am sure we will hear more about that in the coming months. This is another killer feature that many have been asking for (or something similar). The new feature allows you to build one or more “Drill Through” pages in your report. Once you have your drill through pages, you can click a button on a main page and then drill through to the underlying page – WITH FILTER CONTEXT!. Wait did you get that – WITH CONTEXT! This means you can explore something at a high level on one page, when you find something interesting you can swap to a detail page and pass all the filters from the first page to the new page. And there is a back button when you want to go back. There is a new Bookmarks pane coming. You can save the status of a page with the current filter context, and come back to it later by clicking on the bookmark. Once you have a few bookmarks in your report, you can string the bookmarks together into a “play feature” so you can tell a story live in the system – fully interactive. As a bonus, there is a new show and hide feature that allows you to turn on/off visuals on a page. And what is great is you can turn on/off individual visuals on the same page and use them in the bookmarks to tell a story. Bookmarks can also be used as links on buttons from within pages so you will be able to jump between pages and also to change the visible visuals on the same page, all using the bookmarks and buttons. There is a new What If Parameters feature coming to Power BI. If you have a measure that is hard coded at say 0.75 for the AUD/USD exchange rate, you will be able to easily set up a new parameter that can adjust the value of the exchange rate straight out of the UI – very cool. There were a few excellent improvements coming to Quick Insights. One I really love is “Explain the Increase/decrease”. This is a context sensitive Quick Insights. Find a line that is growing over time, right click on one of the data points and then select “Explain the Increase”. Quick Insights will use the machine learning capability to analyse the data variation and suggest to you what is driving the change. When you find something interesting, you can add the visual to your report. And there are more Natural Language improvements where you can have a conversation with the application. You don’t have to write each query from scratch, you can write a query “Total Revenue of Movies WorldWide” and get a Quick Insights report, but then go on to say “What about China?” and the user interface understands that you want to drill further into the previous query. That’s all for today. Make sure you watch the keynote session from day 1 when it is released in the coming days. Thank you for sharing. Could not make the Summit but glad to hear about all the advances. PowerApps currently is only a toy, or even worse , it lacks of many necessay functions. Drill Through Pages – WOW, now this is super exciting – I am looking forward to this one. Adds a “Storytelling feel” to the discovery process. The Bookmarks function also sounds really cool, going to watch the video’s on the summit as soon as they are available (if they are not available already). The More from Quick Insights also sounds pretty interesting but it is hard to picture what it would look like – will need to wait for the Video. Thank you for the post Matt. 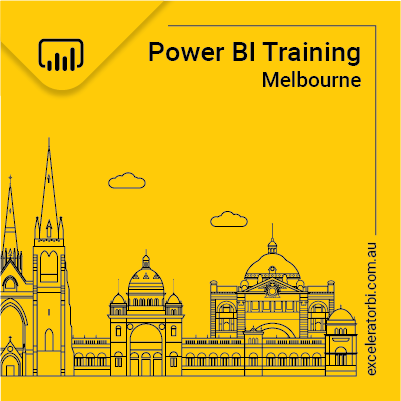 Thanks for sharing these exciting additions to Power BI, Matt. Thanks for sharing Matt. They sound great and I really like the idea of write back and the filter context drill through. It stands to reason that they were holding back for the MDIS as their June release was in many ways… meh! Sounds like some good stuff is coming. Have they indicated what the schedule will be for these releases? The only timing comment was “coming in the next 2-3 months”. So not long to wait I think. Thanks for the summary, Matt! So many new scenarios. Thanks for your timely and comprehensive update. I am particularly interested in the Visio Embedding feature and drill down, – currently I do this manually, based on data from a source system (ie Test Management repository such as HP Quality Centre or MTM), do extracts out to Excel, create pivots and manipulate data to create dashboard style graphs and manually amend the traffic light status and defect heat maps of high level components but would also like to extend this out to include the underlying L2 and 3 process maps (Visio). It’s a significant amount of work to set up and update manually, but is an excellent vehicle for communicating the health/status of applications under test and demonstrate test coverage. The drill down capability and visio embedding is something I am looking forward to learning more about, – very keen to see a demo of this. Are you aware of the licensing requirements for using the visio custom visual within PBI? I heard rumours from people who attended one of the sessions that it’s a separate O365 licence for Visio Pro which isn’t even included in normal O365 packages. I’m hoping Microsoft don’t make this more complicated than it needs to be! Good to meet you too. I didn’t hear anything about pricing but I did hear someone say it was in “preview” and they hadn’t thought about pricing yet. So to me that is code for “there will be an extra fee”.